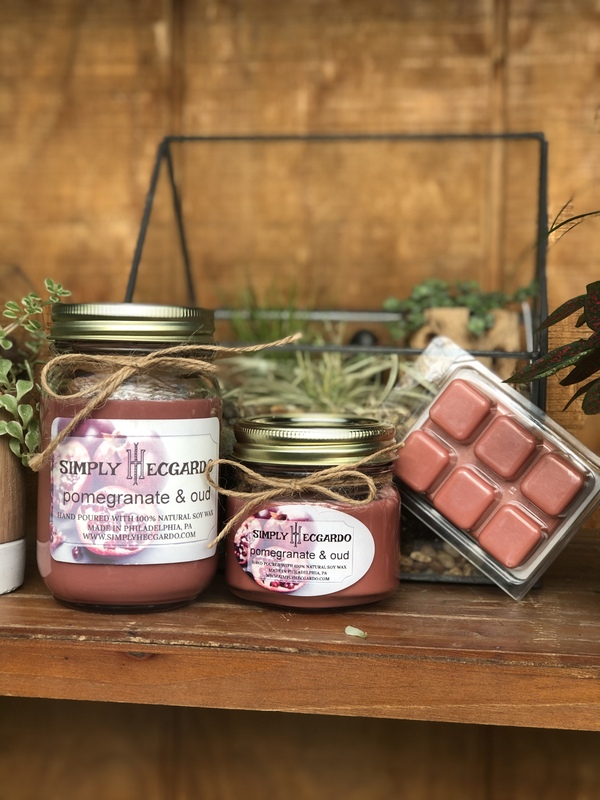 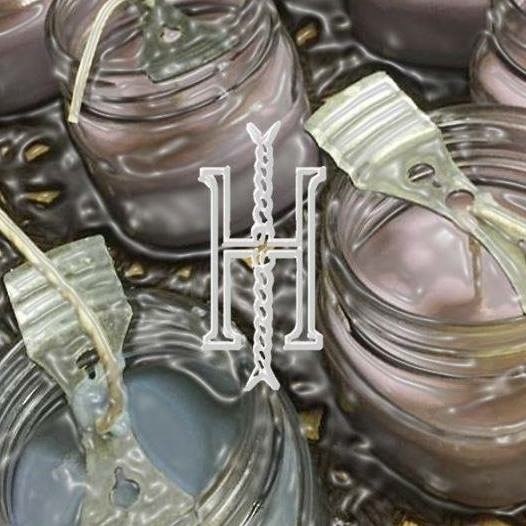 Simply Hecgardo will be selling hand poured candles made with 100% natural soy wax. 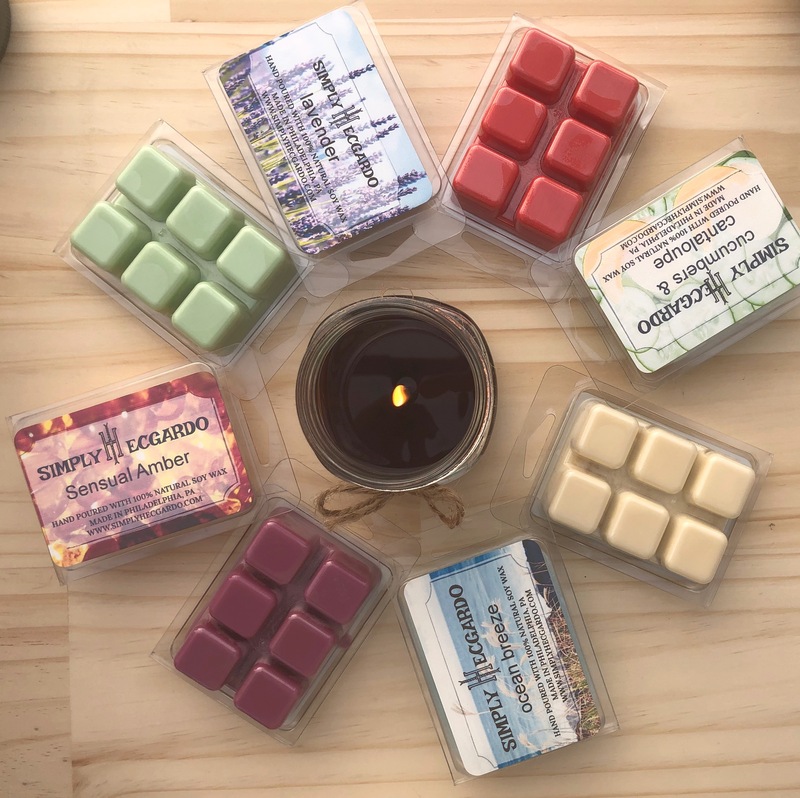 They are made with simple ingredients, 100% natural soy wax, a cotton wick with a paper core and various fragrance oils. 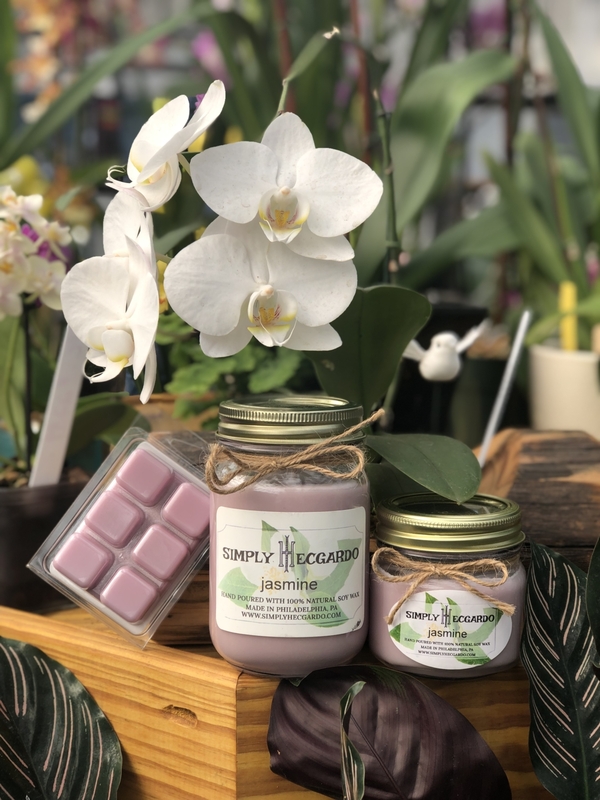 Each candle is assembled by hand, using select style glass jars, a cotton Eco-wick with a paper core, natural soy wax and quality fragrance oils that are Phthalate Free.